Never fails to deliver. The man from Leeds just simply can’t produce average music at the minute. New week always something dope. This entry was posted in Beats, Funk, UK and tagged wntr. Bookmark the permalink. I discover IAMKRT by chance when this track came on my soundcloud feed. Seems to be releasing a new beat every week which is incredible considering the quality of the beats. This entry was posted in Beats and tagged IAMKRT. Bookmark the permalink. This entry was posted in Beats, Easy Listening and tagged sporting life. Bookmark the permalink. This entry was posted in Boucin', Flip, Funk, UK and tagged wntr. Bookmark the permalink. Big fan of both parties involved. This entry was posted in Boucin', Discover, Flip, Smooth and tagged kylie jenner, rascal, thegreatkhalid. Bookmark the permalink. j.robb has been busy lately. Crazy talented producer and always releasing new music. Has new stuff most months. Was also on last months Soulection w/ Joe Kay. This entry was posted in Beats, Flip and tagged j.robb. Bookmark the permalink. First time really digging into the guy. From St. Louis, he got his start making rap-heavy music under his birth name Chris Smith Jr. He released his blkjptr EP last year which put him on the map. Being chums and having an in house product like Monte Booker probably helps to. Blkswn is his debut album so it’s safe to say Smino is definately one to watch. This entry was posted in Albums, Artist in depth, Rap and tagged monte booker, Smino. Bookmark the permalink. Welcome to BEATS BY WAY. After over 2 years of hosting the blog on Tumblr we have changed things up. 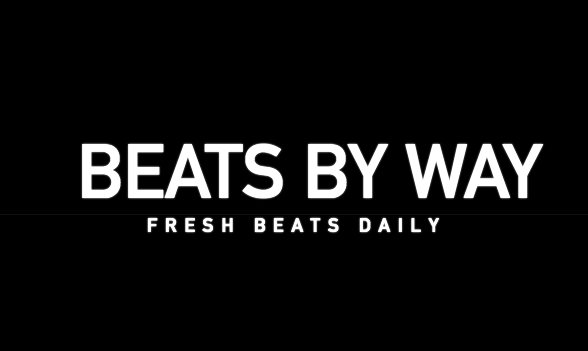 Welcome to the new look headquarter of the best beats blog out. Join the Community to get fresh beats sent to you daily ! If you have any music suggestions for us please let us know. This entry was posted in Updates and tagged By Reuben. Bookmark the permalink.